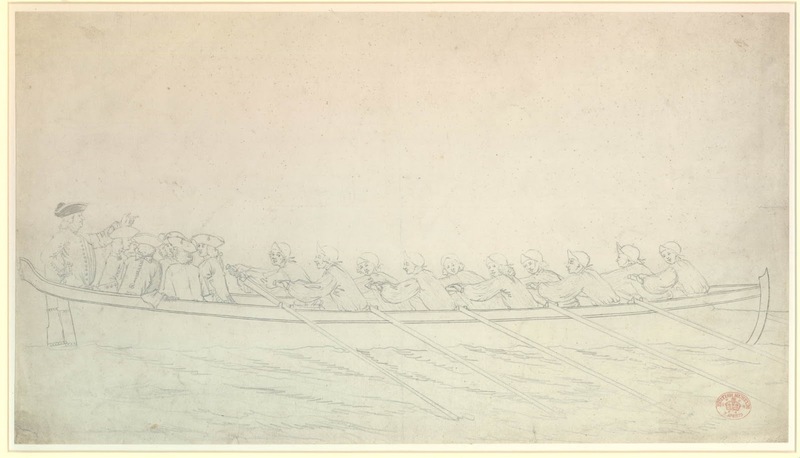 A Man of War's Boat, Paul Sandby, date unknown, British Museum. 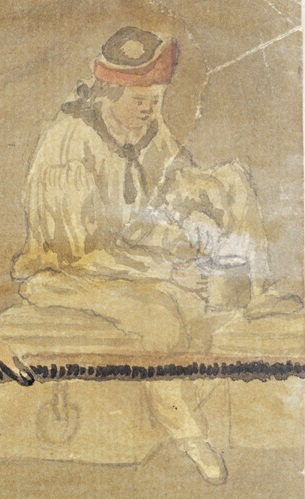 This sketch by Paul Sandby is a simple piece. 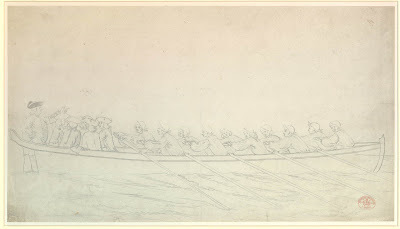 Officers are gathered in the stern of a barge, and the oarsmen (uniform in appearance) pull away. The officers appear to be dressed in the 1748-1767 pattern uniforms of the Royal Navy, but I wouldn't swear to it. Going by those regulations, the coxswain may be a Lieutenant in an undress uniform. Officers are not my forte, so I will leave this to more capable eyes. 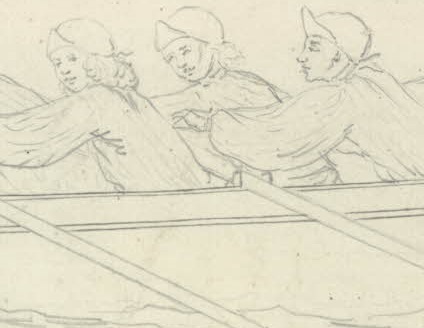 The bargemen are uniformly dressed in shirtsleeves and barge caps. 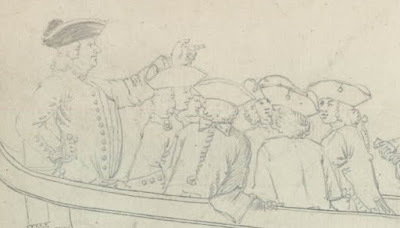 At least a couple of them, as you can see in this detail, wear bob wigs. The barge caps have pointed brims at the front which are mostly worn upright, but are not fixed to the crown of the cap. They look remarkably like the caps worn by the men of the Pallas as painted by Gabriel Bray. great pics, what materials might they have been constructed of? Wool? Linen? An excellent question. The short answer is: I don't know.